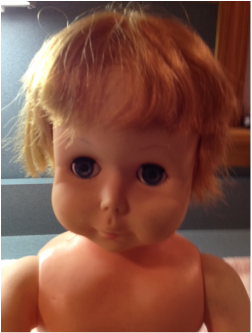 Nancy nurse is a battery powered talking doll. 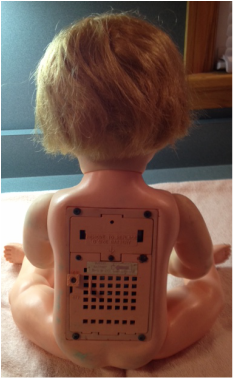 Can't remember the significance of the button in her chest or the hole in her side. 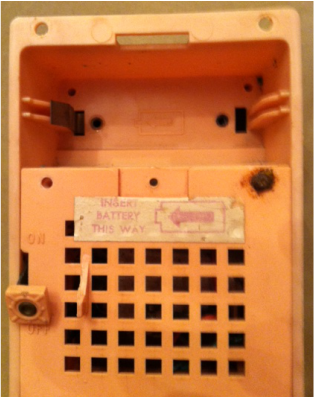 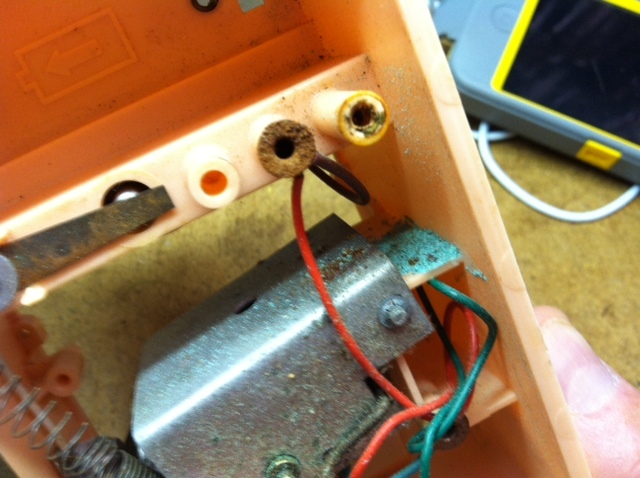 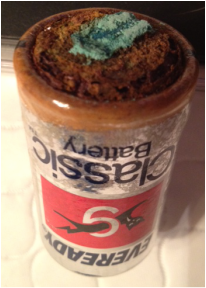 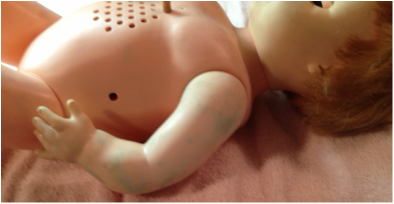 This particular doll had a battery still in it that had leaked so badly that it corroded the contact away. 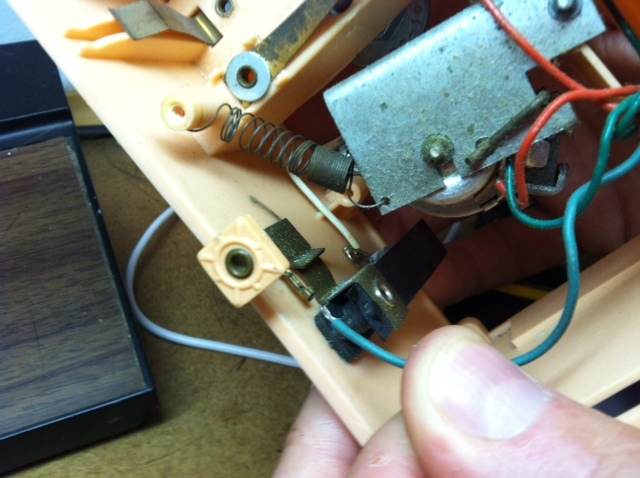 I had to create a new contact from a strip of brass and then solder on new leads.